We so hope you do! 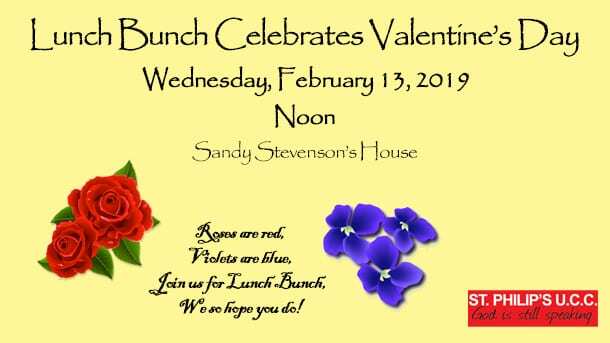 Lunch Bunch will celebrate Valentine’s Day on Wednesday, February 13, 2019, at Sandy Stevenson’s house. 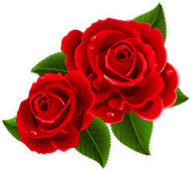 In addition to eating yummy lasagna, we will spend our time together laughing, enjoying each other’s company, and even playing a Valentine game or two. A sign-up sheet is on the hall bulletin board for this noon gathering. Please sign up and come!